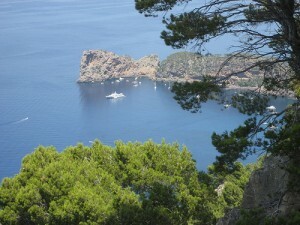 One of the most popular sailing destinations in Spain, the Balearic island of Majorca (Mallorca) is full of yacht charter companies that can set you adrift on the inviting waters of the Mediterranean and around a varied coast of cliffs, coves and beaches for an idyllic vacation of sun, surf and sightseeing. The quiet side of Mallorca, by: Christian Van Der Henst S.
Although Majorca’s reputation has been tarnished in some ways by the abundance of lager drinking English and German tourists during the summer months, and the tacky nature of towns like Magaluf (often drolly dubbed ‘shagaluf’) which cater for them, nonetheless the pros of visiting Spain’s largest island far outway the cons, especially as most of the sangria-and-sunburn tourists tend rarely venture far from the bars of their local resort, making them easy to avoid. 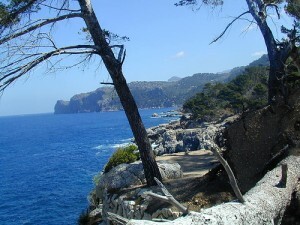 In fact some of the best beaches are isolated below dramatic cliffs and only accessible by foot – or boat. This is island of rich history, amazing landscapes covered with olive and almond trees, varied wildlife and great food and drink. The capital city of Palma (most charter flights arrive at Palma airport), was founded by the Romans in the early 2nd Century AD, and you can see the influence of its many conquerors since on the architecture. There are no finer buildings on Majorca – and few in Spain – than Palma’s vast Gothic La Seu Cathedral, which took 600 years to complete and had its interior remodelled by none other than Antoni Gaudi. After you’ve done the cultural thing, dining out on the bay of Palma as the sun sets is a highlight of any visit, as is climbing up the stairs of Bellver Castle for spectacular views over the bay. However it’s only once you’ve commandeered a yacht, that Majorca truly becomes your oyster. You can navigate the North West coast, backed by the Serra de Tramuntana mountain range and home of the high altitude artistic holiday retreat of Deia where the English poet Robert Graves once resided and the pleasant town of Soller where you can ride trams from San Francisco and eat tapas on the plazas. Or you can head anticlockwise from Palma and sail out to Porto Cristo where the Dragon Caves (Coves del Drac) await. Here you can disembark and hire a smaller boat to take you into the caverns and experience the subterranean lakes, stalactites and a kitsch but surprisingly entertaining light and music show. On the South East coast you’ll find arguably Mallorca’s best beaches (although as there are 120 on the island in total it’s very much a matter of debate!) secluded in precious coves. Bring your snorkelling gear and a bottle of Cava and you’ve got a perfect afternoon in the making. Other potential highlights of a sailing holiday in Majorca include the Castell d’Alaróoverlooking the inland plains, the Parc Natural de s’Albufera where you can put your binoculars to good use for birdwatching on the wetlands, and Capocorb Vell where you can explore Mallorca’s talayotic ruins. As well as that sports fishing, dolphin watching and diving are all possible, and of course fellow Balearic islands, Menorca,Ibiza and Formentera can be reached under sail, whilst a trip to or from Barcelona is possible for longer yacht charters. 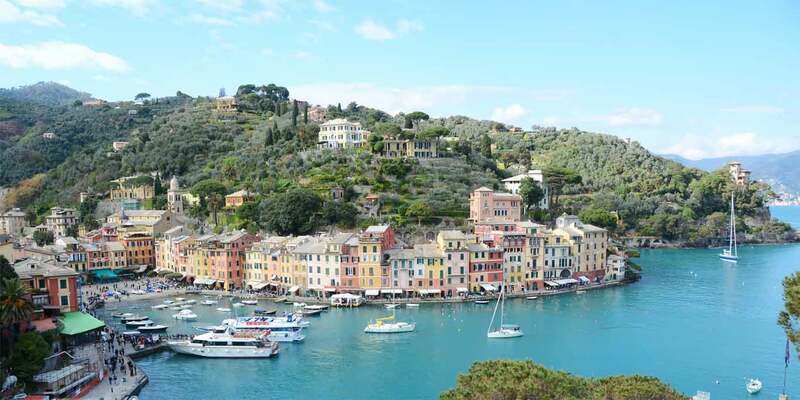 Sailing in Majorca, and the Mediterranean in general, is a relatively tranquil affair versus sailing in the UK for example, as there are limited tides to consider, plenty of sheltered harbours and the weather is as reliable as anywhere in the world for most of the year. Experienced sailors should have no problem opting for a bareboat charter, just be sure to be informed about the local rock hazards. 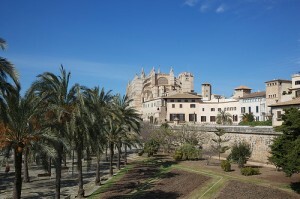 Getting to Mallorca is also easy, as, thanks to its popularity as a summer holiday destination, plenty of cheap flights arrive at Palma airport, whilst connecting flights also exist to other cities in Spain, like Barcelona and Valencia. One thing to bear in mind that the island’s native tongue is actually the regional variation of Catalan (called Mallorquin), and not Spanish as many expect. That said speak Spanish, English or German and you will be understood by anyone working in the tourist industry! Compare prices and check availability of over 200 sailing yachts, catamarans and motor boats in Majorca using our search engine above. Still can’t find what you’re looking for? Send us your request via our enquiry form instead.